BlackBerry is all set to launch three new smartphones in the coming days. According to a recent leak, these phones come with code name Athena, Luna, and Uni. After years of dominating the smartphone market along with Nokia, BlackBerry has gone off the rails. WIth another set of Android devices, the company would want to establish a strong foothold. In the last couple of years, the company has launched smartphones like the BlackBerry Priv, BlackBerry KeyOne, and BlackBerry Passport. Now, the company is all set to refresh this lineup with these newer offerings. These devices are expected to be officially launched at the upcoming MWC 2018 in Barcelona. WIPO has published a new patent from BlackBerry Limited for a smartphone with a sliding mechanism. 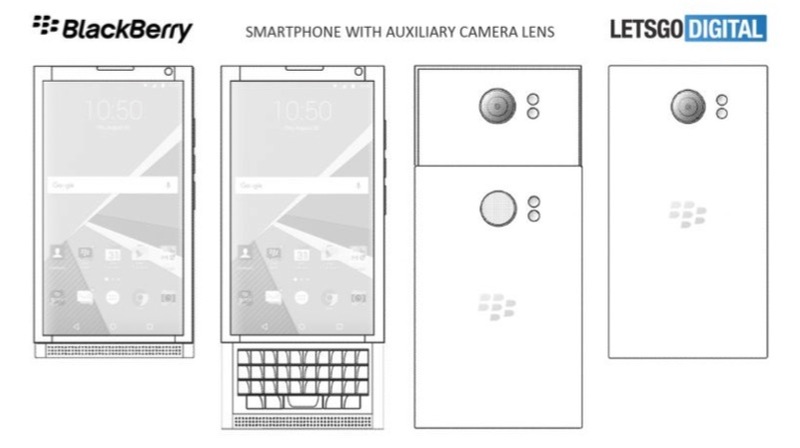 In fact, the sketch resembles the BlackBerry Priv, which was launched in 2015. Back in the October 2017, a report claimed that the company is working on a new smartphone, is this one in the question? The only difference between these models is the placement of the camera. The camera will be hidden until the slide is open. The back-case offers a camera lens, which might offer features like a wide-angle lens, fish-eye vision, a zoom lens or a macro lens. 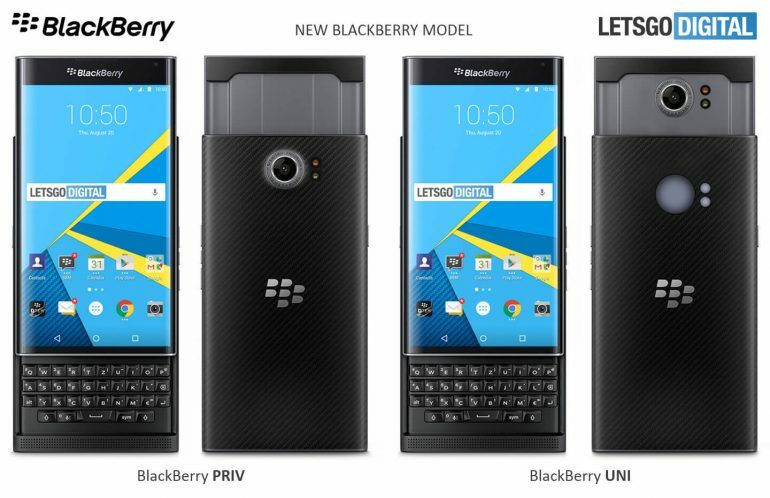 As of now, we just have the specifications of the BlackBerry Uni. It is powered by Qualcomm Snapdragon 660 Octa-core processor with 6 GB or 8 GB RAM and 64 GB storage. The screen resolution of Uni (1620 x 1080) hints that the phone might resemble the BlackBerry KeyOne. This confuses a bit, as it has a mechanism like Priv, but a screen resolution of KeyOne? Considering that these devices will be launched in 2018, BlackBerry might go for a bezel-less design, which might be the reason for this different screen resolution. Presently, the specifications of the other two models are still unclear. As the MWC approaches, we will have a clear idea about all three devices. At least on paper, these smartphones look promising. 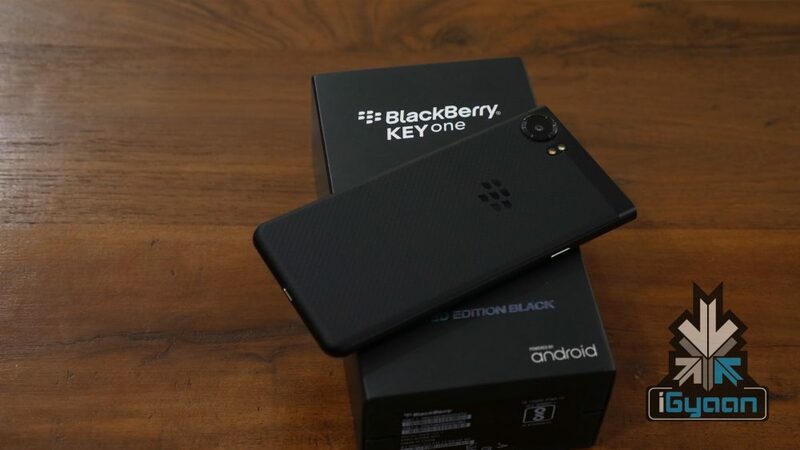 BlackBerry should make sure that these devices run on latest Android OS with a competitive price tag at the time of launch.